NEWMAN, CA- Police Officer, Corporal Ronil Singh emigrated to America from his native country of Fiji to become a police officer. He did it legally and served with the Newman, California Police Department for seven years before being brutally murdered, gunned down by an illegal alien while on duty last month. Singh left behind his wife and his young son. His murderer, Gustavo Perez Arriago, 32 is Mexican nation, who was living illegally in the United States. 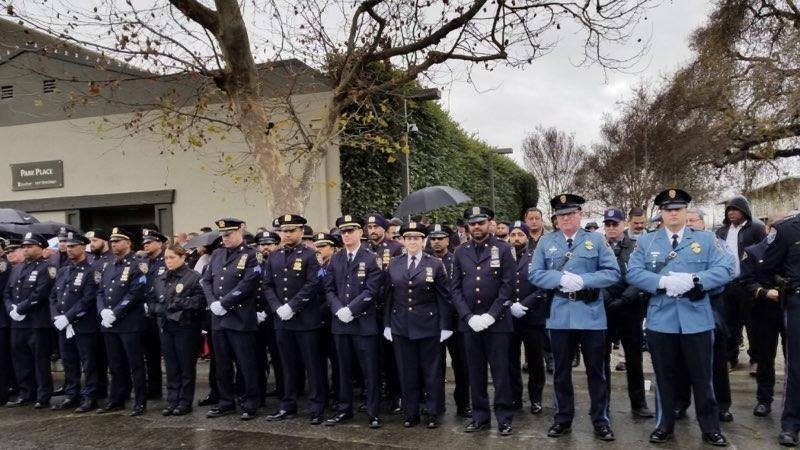 The murder of officer Singh outlined the inherent dangers of providing sanctuary to illegal aliens, such as the directive issued last month by New Jersey Attorney General Gurbir Grewal. But this weekend, none of that mattered as police officers and the nation mourned the loss of an American hero. Singh’s story was a success story for America’s millions of legal immigrants who come to the country with a dream. He wanted to be a police officer and according to his commanding officers, he was that indeed. He was gunned down just hours after celebrating Christmas with his family.